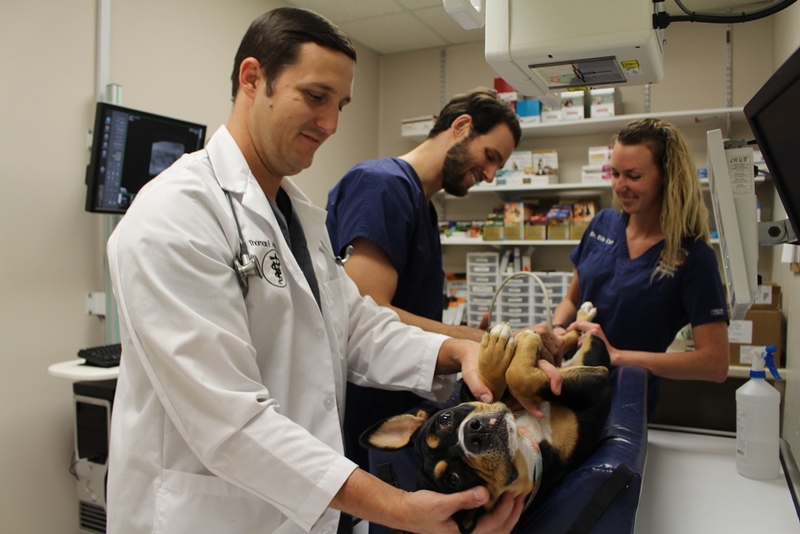 The University of Florida College of Veterinary Medicine Practice-Based Small Animal Clerkship was developed to provide our students with real world experience in quality small animal practices. The purpose of this course is to provide students with in-clinic primary care experience treating small animals (dogs, cats, and small exotics if treated by the practice), emphasizing physical examination, diagnosis, treatment, routine surgery and practice management. Students will be assigned to a participating veterinarian for a two-week clerkship in the enrolled veterinarian’s small animal practice. The student will be expected to be present in the practice Monday through Friday, from 8:00 am until 5:00 pm or whenever the practitioner’s day is completed. It is expected that students may participate in emergency calls received out of regular business hours, (i.e., nights and weekends) if applicable. 3. Take time to discuss practice management techiques, current disease problems, and application of disease techiques wherever possible. To the extent possible, as limited by the case load, this educational experience will include: clinical examination (physical exam and history taking), proper handling techniques, diagnosis, administration of medications, regulatory medicine, anesthesia techniques, reproductive management, vaccination programs, parasite control, dispensing medication, billing clients, practice management, laceration repair, bandaging, veterinary ethics, client communications, elective surgery and emergency procedures. Students will receive as much hands-on experience as feasible within the constraints of normal practice activity. It is expected that students will spend approximately 10% of their time learning about the business management procedures used in the practice. The goal of this aspect of the clerkship is to expose students to the basics of veterinary practice management, including personnel management, inventory control, ordering procedures, client billing and finances. Students should be given time to discuss these issues with the responsible persons in the practice. The supervising veterinarian is expected to explain to the student the basis of client fees and how fees are reviewed. Students will arrange a PRE-CLERKSHIP meeting with their practice’s Program Assistant at least 1-2 weeks before their clerkship begins. Students are required to keep a daily case log of each individual animal health or management problem encountered during the clerkship. Students are required to complete a written assignment to evaluate the clinical practice and the business management in the practice, including personnel management, staffing, inventory, billing procedures, etc. Students are required to complete an Evaluation of Practice and Practitioners. The items above must be submitted through the PBSAC website by the first MONDAY after the completion of the clerkship. Students must complete the Student Learning Outcomes (SLO) and have them initialed by the practitioner before turning them in to the PBSAC Program Assistant on the first Monday after the rotation. The SLO forms must be turned in to obtain a satisfactory grade. The online SLO documents must also be completed for approval. Students must contact their course coordinator within two weeks after receiving notification to arrange for the POST-CLERKSHIP meeting.